L-R: MJ (played by Wade Allain-Marcus) and Nkechi (played by Ngozi Anyanwu) share a tender moment. On stage at the Kirk Douglas Theater. Photo by Craig Schwartz. 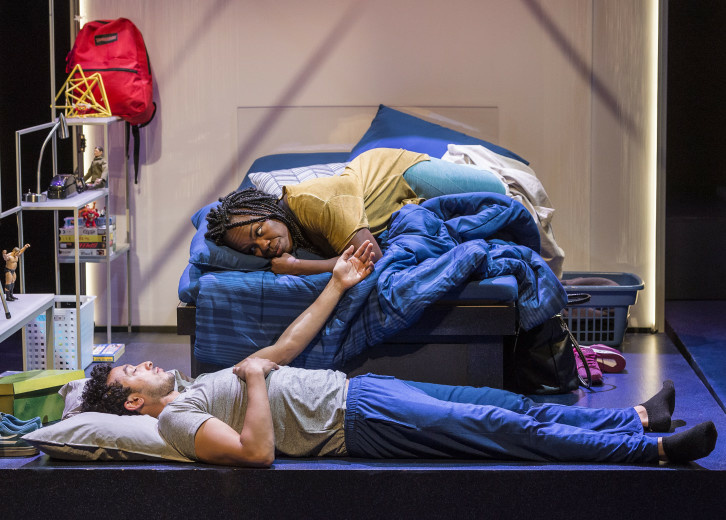 “Good Grief” is a new play by a new playwright on the LA theater scene, Ngozi Anyanwu. She won the Centre Theatre Group’s inaugural Humanitas Playwriting Prize which meant getting a grant to mount "Good Grief" at the Kirk Douglas Theatre. It's there now and she's playing the lead. The Frame contributor Adriana Cargill says that this play about grief can offer a lot of hope for those who are grieving. L-R: Wade Allain-Marcus and Ngozi Anyanwu in the world premiere of “Good Grief.” Written by Anyanwu and directed by Patricia McGregor, “Good Grief” plays at Center Theatre Group’s Kirk Douglas Theatre through March 26, 2017. Photo by Craig Schwartz. "Good Grief" is about Nkechi, a first generation Nigerian girl growing up in Philadelphia. While she’s taking time off from college, MJ– her best friend and love interest– is suddenly killed in a car accident. This actually happened to the playwright Ngozi Anyanwu, in real life. “I feel like the play’s for anyone who's ever lost anyone which, unfortunately, will be everybody's experience. I'm trying to convey that, like, grief is good.. going through it in a very deep manner is good,” says Anyanwu who also stars in the show. The plot unfolds through a non-linear series of flashbacks with MJ and flash forwards to Nkechi trying to process losing him. 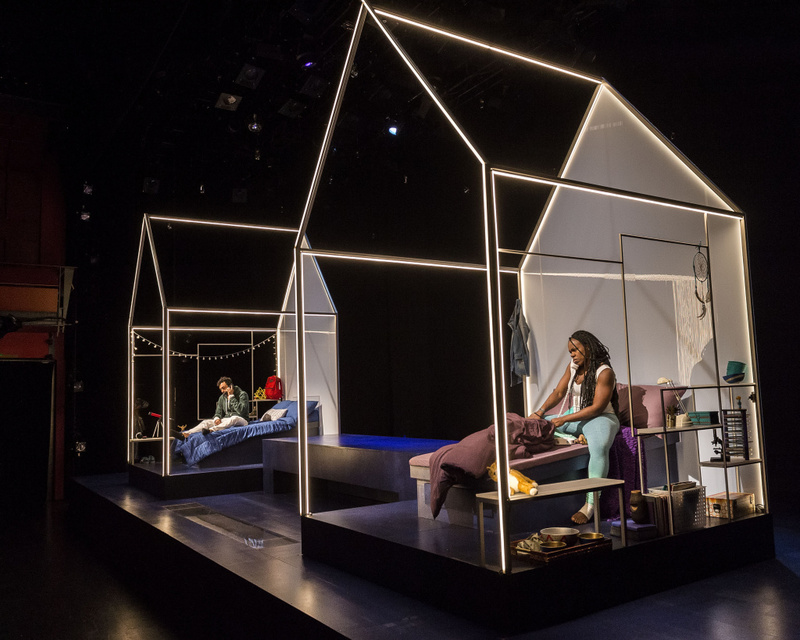 The play has a very personal, candid and raw quality that wows audiences. “I feel a little bit cathartic because I can relate to a lot of the things she’s saying. I also feel—I’m not gonna lie— like, a lot of pain,” Says Chris Callahan. 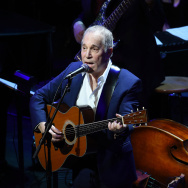 He joined Adriana Cargill at a performance recently. And as someone who's lost a loved one in a drunk driving accident in October 2016 he says that the play inspired him. “It’s pretty cool if you think about. She’s gonna have this giant production that is really in honor of someone she lost– and also giving advice and courage to people who have been in similar positions. So in many ways it makes me think I should do the same,” said Callahan. "Good Grief" is far from the depressing downer that we normally associate with stories about grief. There is so much, joy and celebration that sometimes you forget it’s about grief. 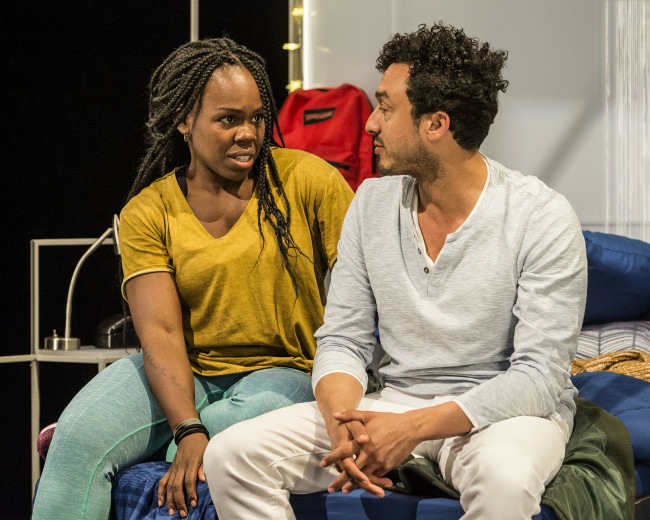 L-R: Nkechi (played by Ngozi Anyanwu) talks with her best friend-love interest, MJ (played by Wade Allain-Marcus) in "Good Grief" on stage at the Kirk Douglas Theater. The play was written by Anyanwu and directed by Patricia McGregor. Photo by Craig Schwartz. “I just feel like it’s hand-in-hand when you're grieving, [because] you’re grieving all those beautiful happy fun moment so why not also celebrate, you know, along with cry? It can’t be all tears,” Says Anyanwu. 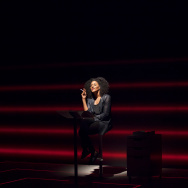 One of the most heart-wrenching moments of the play happens in Nkechi's final monologue in which cries out about the constant reminders of MJ– of him being nowhere and everywhere at once. Anyanwu wrote that monologue originally as a poem on the 10th anniversary of her real-life friend's death. Then she kept on writing and the poem gave way to the play. Anyanwu spends a lot of time in "Good Grief" playing with memory to highlight how our mind can play tricks on us, how we can misremember things and how we forget. To hear this story click the play button at the top of this page. "Good Grief" is showing everyday from now till March 26th at the Kirk Douglas Theatre in Culver City. For tickets and information, please visit CenterTheatreGroup.org or call (213) 972-4400.